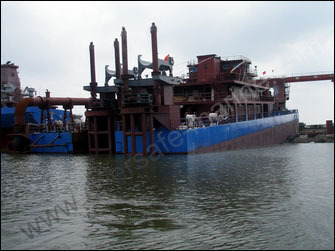 Eversafe Marine sucessfully launched the 3500 CBM/H cutter suction dredger with 32 pieces marine airbags on 25th May in Zhejiang China. That dredger is 97 m long,18.2 m wide. 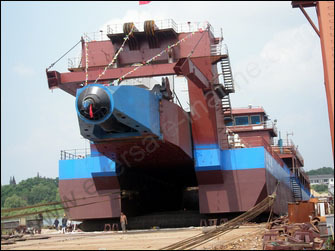 Its maximum dredging depth is 26 m, discharging distance reaches 6000 m.
Because the weight distribution of dredger is quite different, people need to arrange airbags accordingly.Dredger's special bottom structure is somewhat obstacle for air bags rolling thus some additional structures may be deployed for the launch. 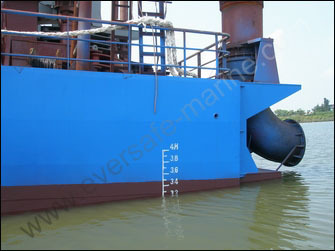 Eversafe Marine made the detailed calculation of the dredger launch and found insufficiency airbag quantity in some area due to unexpected low water level. Then additional 6 pieces airbags were transported to the shipyard urgently. 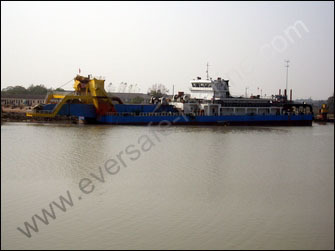 On 25th May when water level reached highest point in the day people released the dredger for launching. With rolling airbags the dredger entered into water steady and smoothly.